If you are a 6th-12th grade Social Studies teacher, you may be eligible to participate in a study tour to Japan! Click Here for details! "There is a 'before Chikako, and after Chikako' when it comes to the JAS." 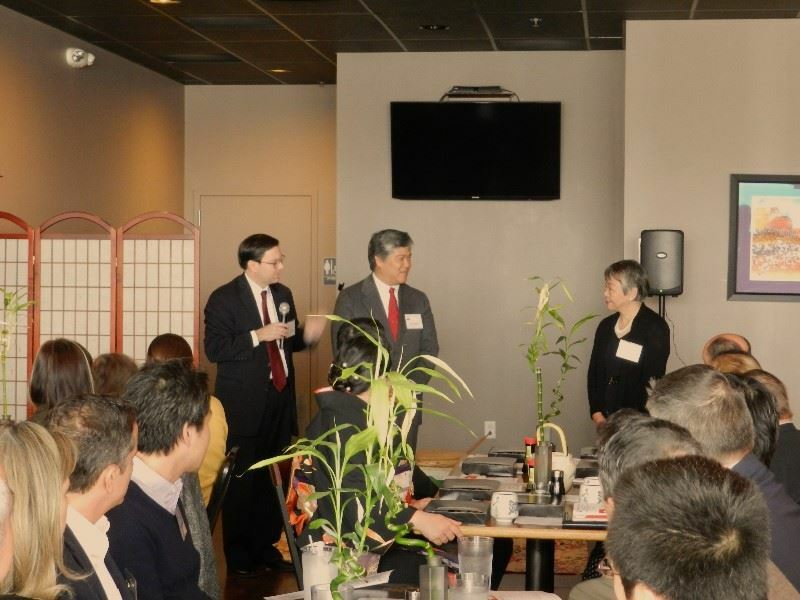 The Japan America Society's Chairman (and former president for 10 years) was recognized this year by the Asian American Chamber of Commerce in St. Louis (AACC) for the Connector of the Year Award. Each year, the AACC has a connection dinner to reflect on the accomplishments of the Asian community in St Louis. We are very proud to have Dr. Usui to work with the Japan America Society and also the larger Japanese community in St. Louis. Congratulations Dr. Chikako Usui! 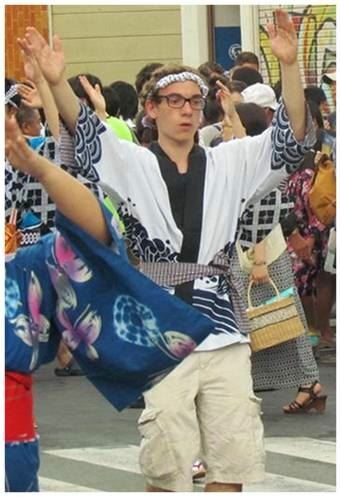 George Arbanas - one of the students in the first group of American students to travel to Ishinomaki back in 2014 - recently revisited Japan and returned with some wonderful news about the ongoing benefits of the TOMODACHI Program. On Japan, George reconnected and spent a weekend with the Hayashi family, who hosted him at the end of the TOMODACHI trip four years ago. Unfortunately, due to a snowstorm that hit a large part of Japan that weekend, he was unable to travel to Ishinomaki and visit everyone there. However, George also learned that he has been awarded a summer internship at a company called Education First in Tokyo. He will return to Japan at the beginning of the summer 2018 and intends to take a personal trip to Ishinomaki following the end of his internship.. This report from one of the TOMODACHI alumni is a welcome affirmation of the exchange program as a fulfillment of the mission of both JAS and the TOMODACHI Initiative. Way to go, George! JAS presented its spring Japan Update program featuring three expert speakers on urban agriculture. Professor Eiji Goto of Chiba University spoke about trends and technology in factory farming in Japan, highlighting the efficiencies and financial aspects of the industry. St. Louis's own Mary Ostafi of Urban Harvet STL focused on the specific efforts and adaptations required for urban farming in St. Louis and the broader social impact of this trend. And, Kevin Erickson of Loyola University in Chicago presented an overview of the challenges and opportunities of urban agriculture, from small-scale community gardens to the latest advances in aqua- and aeroponics. 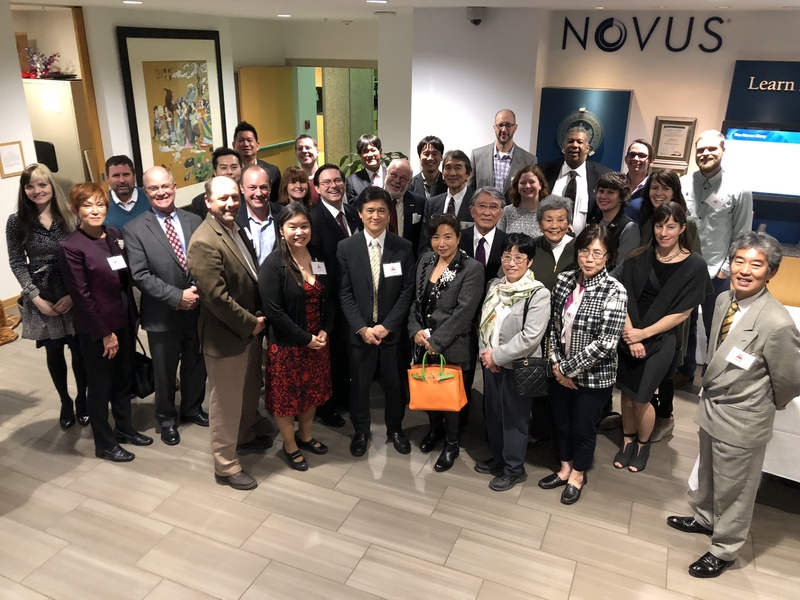 About 70 people braved the wind and rain to hear our speakers and enjoy our signature sushi and sake receptions afterward in the gorgeous lobby of Novus Internationl, Inc., one of JAS's corporate members who generously hosted the event. JAS and UMSL's office of International Studies & Programs, the Department of Language and Cultural Studies, and the Japan-America Student Association hosted Dr. Steven Gan for a free talk and book signing chronicling his amazing experience. Mr. Gan ran a highly successful debt collection business in Japan for 12 years - the first foreign-owned business of its kind in Japan. He told the riveting story of starting his business organically and growing it to employ 30 people. His business was so successful, he drew the attention of the media, but also the ire of his competition, which used an obscure and ambiguous clause in the law to shutter his company. He now has a consulting business in Chicago, Stellar Risk Management. 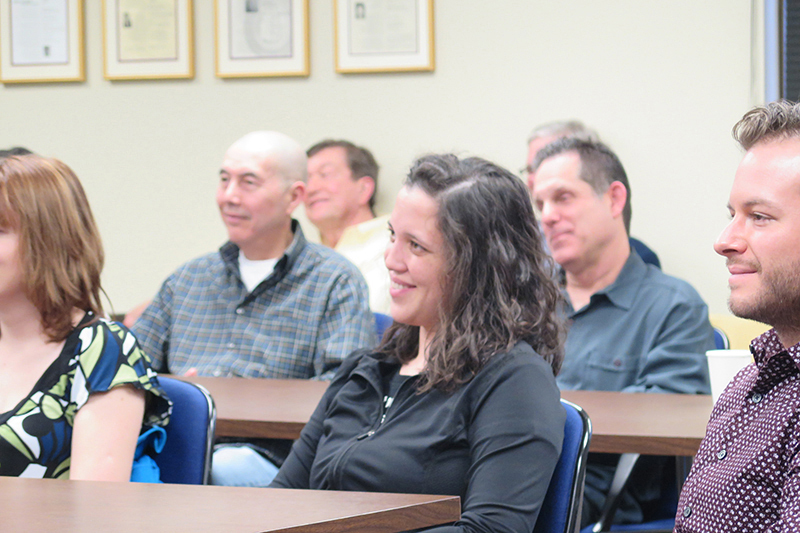 Following his talk, he took questions from the audience and offered auto graphed copies of his book, "Making it and Breaking it in Japan" for sale to about 30 audience members. 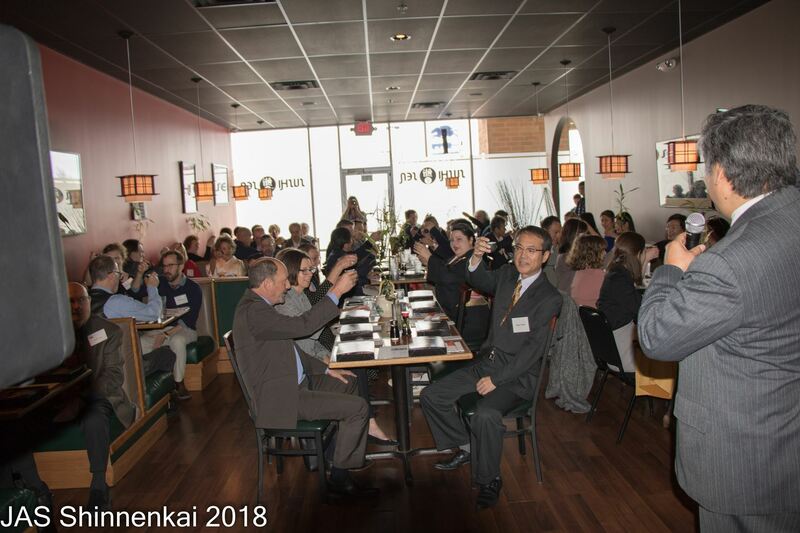 The Japan America Society of St. Louis began the new year with a wonderful Shinnenkai at Sushi Sen in Lake Saint Louis on January 21. This year's Shinnenkai was well-attended, including Deputy Consul General of Japan from Chicago, Kenji Tanaka, and three full tables of our corporate members Nidec, Novus, and CSI. 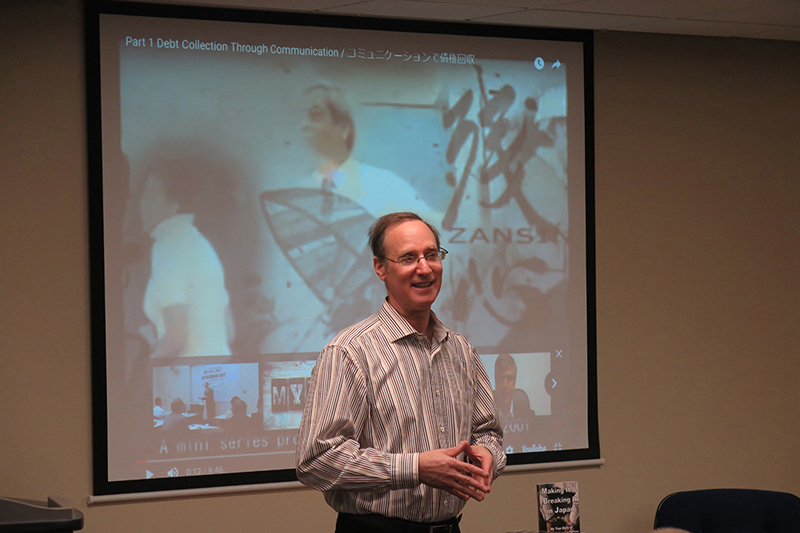 Once again, our attendees had the pleasure of hearing the insights of guest speaker Dave Lowry, an expert on Japanese culture. This year, Dave spoke of the concepts of omote, or "surface-level meaning," and ura, or "deep meaning." He explained this in the context of some interesting unpublicized (ura) Shinto practices concerning the emperor, as well as practices concerning the coming and unprecedented abdication, as Emperor Akihito will "retire" on April 30 and Crown Prince Naruhito will become the new emperor. Deputy Consul General of Japan Tanaka spoke in glowing terms of JASSTL's commitment to strengthening relations between St. Louis and Japan, and in particular outgoing JAS President Dr. Chikako Usui's tremendous efforts and successes in strengthening the JAS in St. Louis. Dr. Usui retired at the end of 2017 and now serves as Chairman of the Board. So this year's event was also the first in 10 years to feature a new president, Mr. Greg Gorman of Nidec Motor Corporation. Of course, no JAS Shinnenkai would be complete without the kagami-biraki (sake barrel opening ceremony), a raffle of fukubukuro bags, and Chef Ken's osechi ryori - special New Year's meal (and sake!). This is always a treat, and a good time was had by all! To view more photo's from this event please click here. 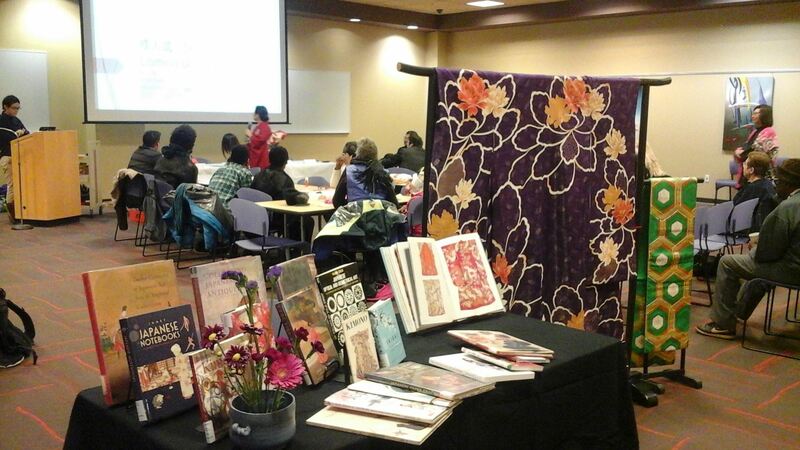 At the request of the St. Louis Public Library, JAS arranged a presentation at the Schlafly branch in January about Seijin-shiki, the Japanese Coming of Age celebration. Seijin-shiki is the second Monday of January, a national holiday in Japan to honor and celebrate 20-year-olds as adults. They gain the right to vote and are of legal age to drink alcohol. Our speaker modeled the elegant, long-sleeved furisode kimono worn by young women and showed a video and slides of family photos from her special day. After the presentation, several women in the audience enjoyed trying on kimono and yukata. JAS was pleased to partner with the library to share Japanese culture.